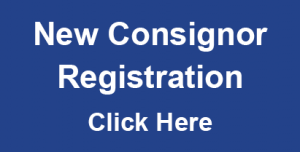 First, you must register as a consignor. If you pay your consignor fee and do not get a confirmation and/or consignor number, PLEASE contact us as soon as possible via email. 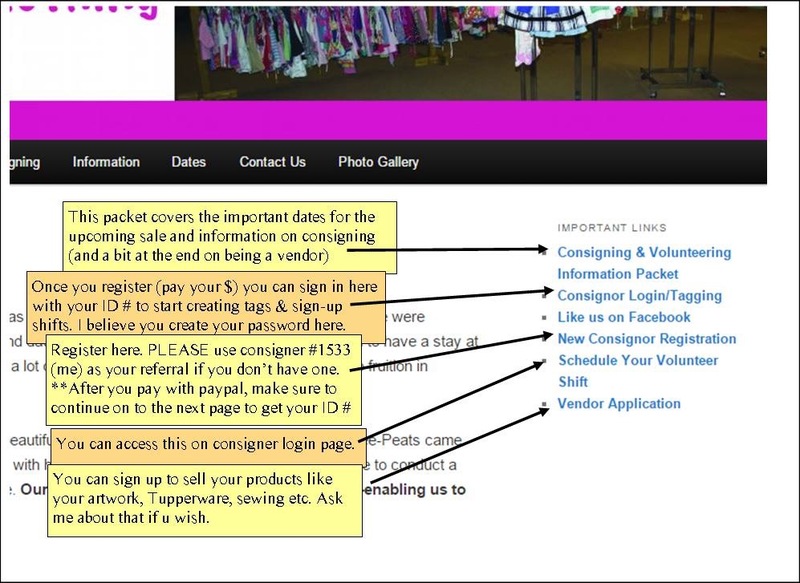 Please follow our guidance so that your consigning experience can be as effortless as possible. 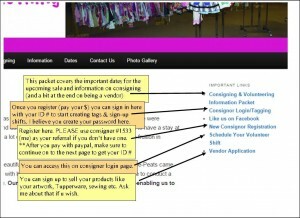 Download the Consignor Packet to read and/or print important information and instructions. All items must be tagged according to your guidelines that are outlined on the “tagging” page in your consignor packet. 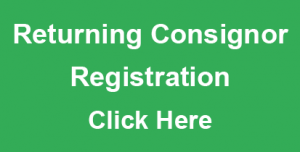 A CONSIGNOR FEE OF $14.00 IS DUE AND NON-REFUNDABLE AT THE TIME OF REGISTRATION. EXAMPLES OF ITEMS WE ARE ACCEPTING: CHILDREN AND ADULT SEASON CLOTHING, SHOES, SOCKS, FURNITURE, BABY EQUIPMENT, MATERNITY WEAR (ONLY 10 PC PER CONSIGNOR), BOOKS, BICYCLES, DVD’S, EXERCISE EQUIPMENT, OUTDOOR EQUIPMENT, AND TOYS. ITEMS THAT WE DO NOT ACCEPT: CAR SEATS OLDER THAN FIVE YEARS, UNDERWEAR AND UNDERGARMENTS, STUFFED ANIMALS, FURNITURE THAT IS NOT WITHIN THE FEDERAL STANDARD GUIDELINES, RECALLED TOYS AND OUT OF STYLE OR INAPPROPRIATE SEASONAL CLOTHING. Wee-Peats takes pride in taking care of our consignors. Earning 75% of your return requires the following—refer THREE new consignors, and volunteer a four-hour shift. If you are not consigning and want to volunteer, you must either sign up to volunteer before the volunteer shop or pay the consigning fee and volunteer during or after the sale. A $15 fee will be deducted from you total return if there is a no call/no show for your volunteer shift! To sign up to volunteer, see the side panel of links.